Learn tips and tricks used to master public-speaking skills. In this video, you will learn how to strengthen your verbal skills to be a stronger, more confident orator. 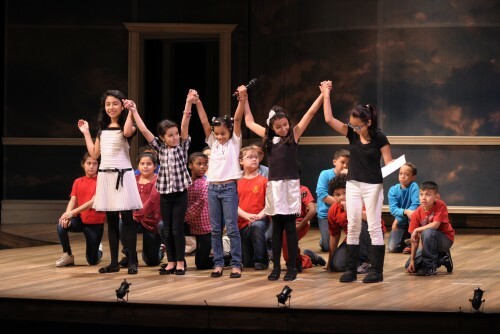 Since 2011, the Ford’s Theatre National Oratory Fellows program has worked with teachers across the country to bring public speaking and performance into grades 5-8 through a framework that enlivens history and English Language Arts learning. 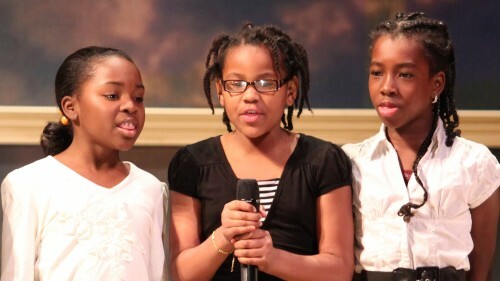 Here, any teacher can draw on the knowledge of our teaching artists and oratory fellows. You can teach all of the lessons or choose what works for your needs. All lessons are primarily written for grades 5-10, but we give you tips to differentiate. Interested in participating in a program? Ford's Theatre offers teachers and students life-changing opportunities to learn the power of oratory. Students learn to identify operative words and replace the author’s historical words with their own modern language for better understanding. By understanding the three elements of persuasive speech—ethos, pathos and logos—students will analyze the effect of rhetorical strategies and elements in commercials and speeches. Students create original art pieces inspired by a connection they make between a historic speech and current events. Students take different sides of an issue and present evidence to support that side. A student judge then decides who presented the best argument. 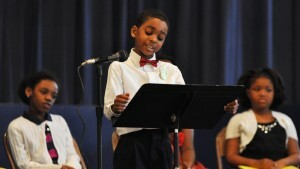 Students write eight original speeches. Rubrics and examples included. 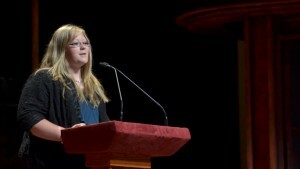 Each speech performance focuses on using two Podium Points (elements of effective public speaking). Students learn how intentions effect the tone of a speech, explore how and when to alter their pace, and discover how emphasizing different words can change the meaning of a text. Students learn the whys and hows of giving constructive feedback, for use in many performance settings but also for writing and visual art critiques. Students learn the nine elements of effective public speaking and recognize how to use them. A guide that instructs on how to uses oratory Podium Points to improve students’ public speaking and performance skills.